We’ve never charged any fees – and never will! No commissions or closing costs! Quick Home Offers is the easiest way to sell a property, guaranteed! Just fill out the quick form above. Or you can always call us! Many “We Buy Houses Lancaster” companies cannot create an offer that can get you over market value! We can! We typically give you a few offers, including an all cash offer. Once we close, you can cash your check! It’s That Simple. You Decide If It’s A Fit. Click Here To Read What Others Have Said! We craft offers around you, not properties. Most “Sell My House Lancaster” or “We Buy Houses Lancaster” just offer low cash offers, and often times won’t even close. We’ve seen it time and time again, so many solutions that other companies or agents just overlook. If the property is in bad shape and you don’t feel like doing the work to fix it up… that’s fine, we’ll buy it! If you want to get something done quickly, we can close in as little as 7 days. Click Here for just a few of their Testimonials. Get A Free, No-Obligation Offer Below! If you’ve got a property that you want to sell quickly, without hassle, and without having to fix it up to put it on the market, we’re here for you. We purchase all property as is. There are no commissions, no escrow fees, and no hassles. 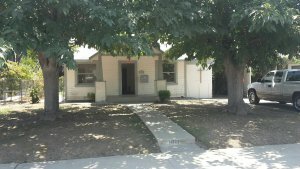 We Buy Houses Lancaster California – Sell House Fast Lancaster For Cash and other areas including Ventura County, Greater Los Angeles Areas, Inland Empire, Central Valley Areas, Antelope Valley Areas, and other cities. 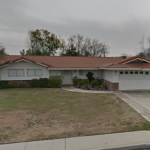 If you need to sell your house fast in California, we’d love for you to reach out! We’re here to offer you an easy solution to selling a property!